I decided to create a mock up with the key patterns, using them on a book mock up which could be a journal or a notebook. 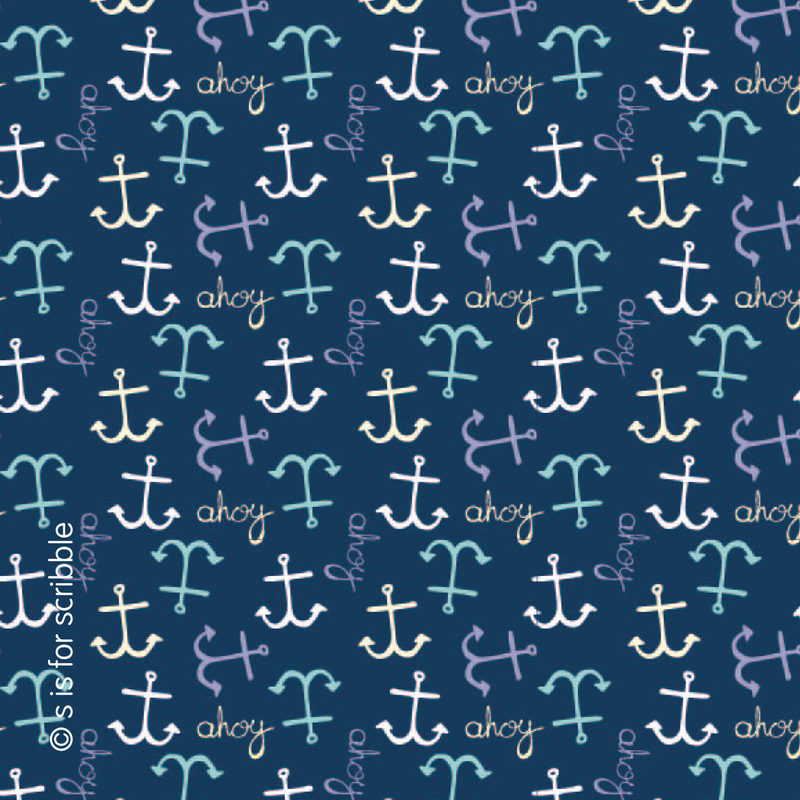 I haven’t shared a lot of my mock ups before, but it has been really exciting playing around with these patterns and I am really pleased with the outcome. Key drawings in black ink and dip pen. This has become my favourite way to create the initial drawings, using black ink and dip pen, then scanning this in at a high resolution and working with it either in Photoshop or Illustrator. I’ve also been trying to break out of my usual turquoise and green colour palette. After some research into different colour palettes I really liked this peachy/salmon pink and grey combination. To finish off my K is for Key designs here is a simple framed print, with some little wooden houses. Which made me think this could also make a pretty ‘New Home’ print or card. It all started with a wander through Kew Gardens on a beautiful Autumn afternoon. I couldn’t resist collecting lots of beautiful fallen autumn leaves. This led to a few inky doodles, using black ink and white gel pen. I then scanned my leaf doodles into the computer to create my full colour leaves (see below). Although I had a play with blue and green (my ‘go to’ colour palette), I thought I would stick to the autumnal colours. and here is my autumnal leaf pattern. That was the title of the article for the above editorial illustration. Created for the June MATS Bootcamp course. This is one of the first times I have attempted to draw people in my illustrations. 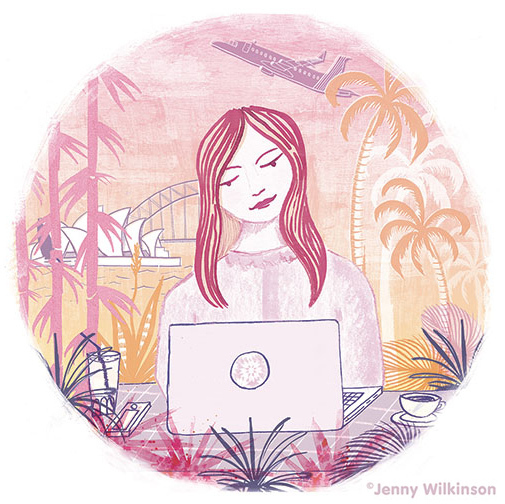 But I really enjoyed the process and plan to experiment with some more editorial illustration briefs in the future. What a fun month May was at MATS Bootcamp. Crabs and lobsters and prawns oh my! 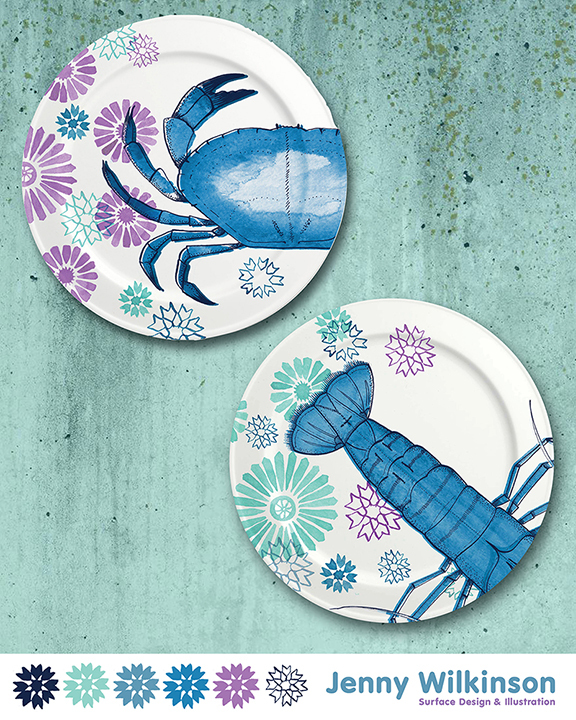 The brief for the month was to create a surface design for some dinner plates with a ‘Marine Mashup’ theme. Basically a totally bonkers mix of pretty patterns and crustacean creatures. Actually, some of my favourite things to draw, so I was pretty happy “mashing-them-up” together. C is for Crab. Here is the more detailed, crab drawings created with a dip pen and ink. 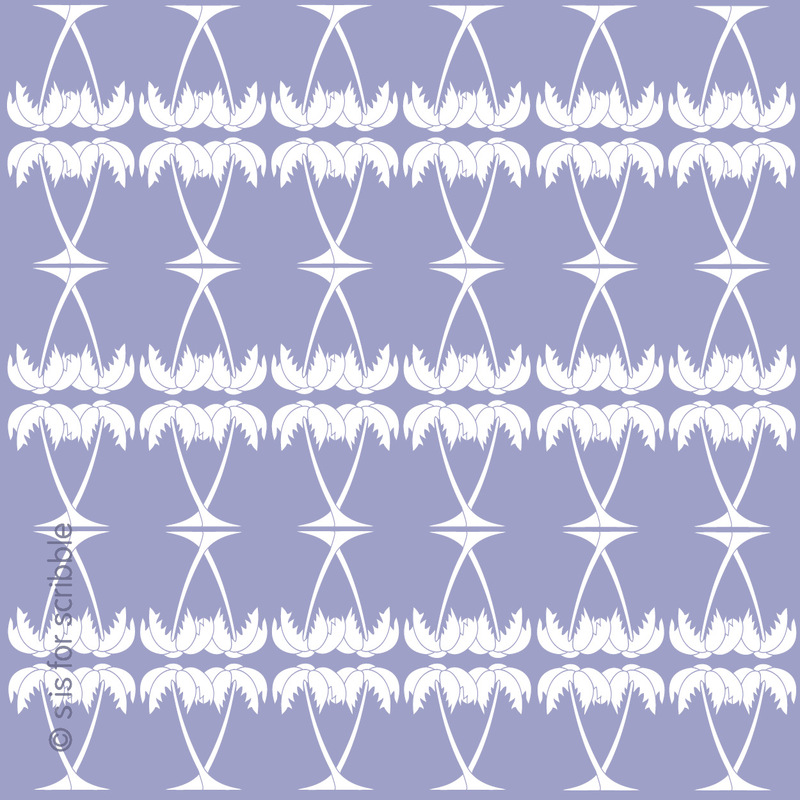 Morocco was the source of the pattern inspiration for this ‘mash up’ . . . 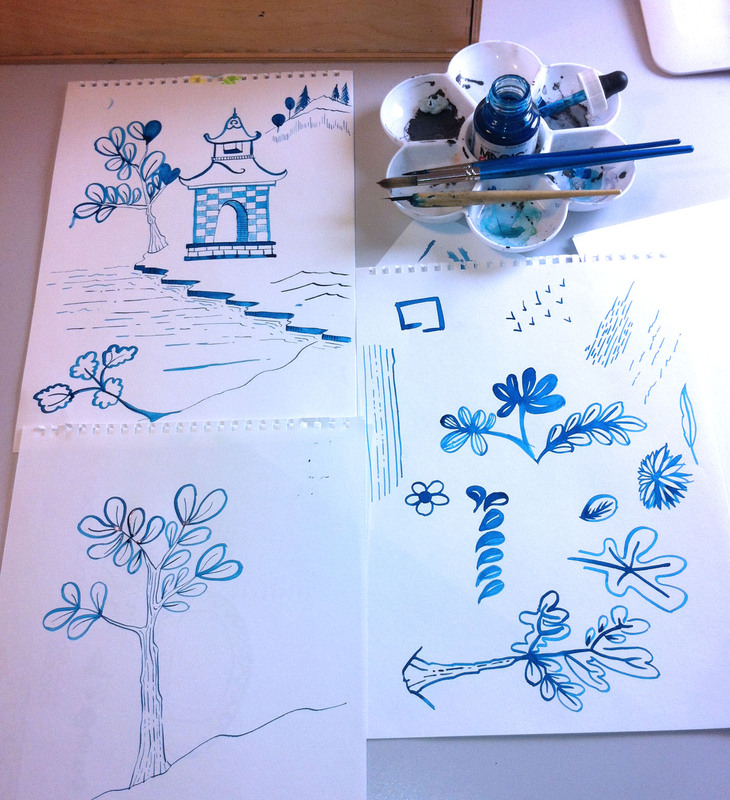 I had some fun playing with blue ink on watercolour paper. 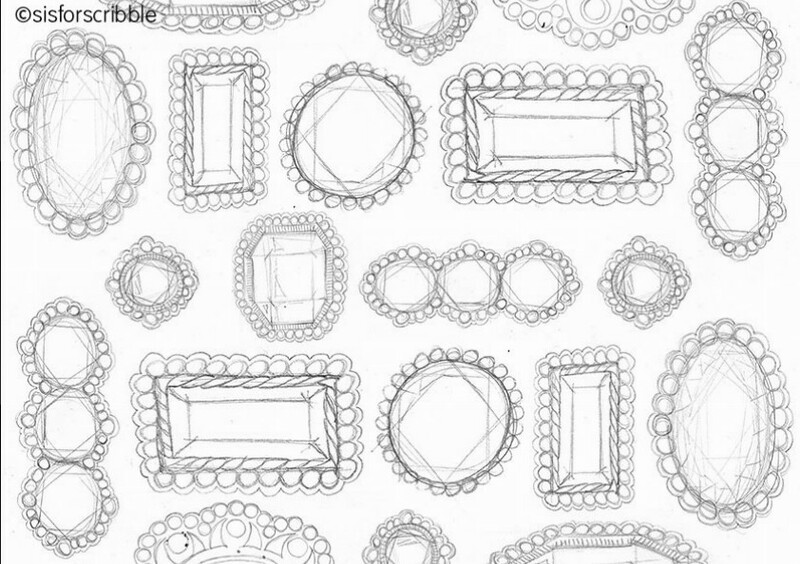 These inky sketches were scanned in to create the background pattern for the plate designs as well as this simple repeating pattern. 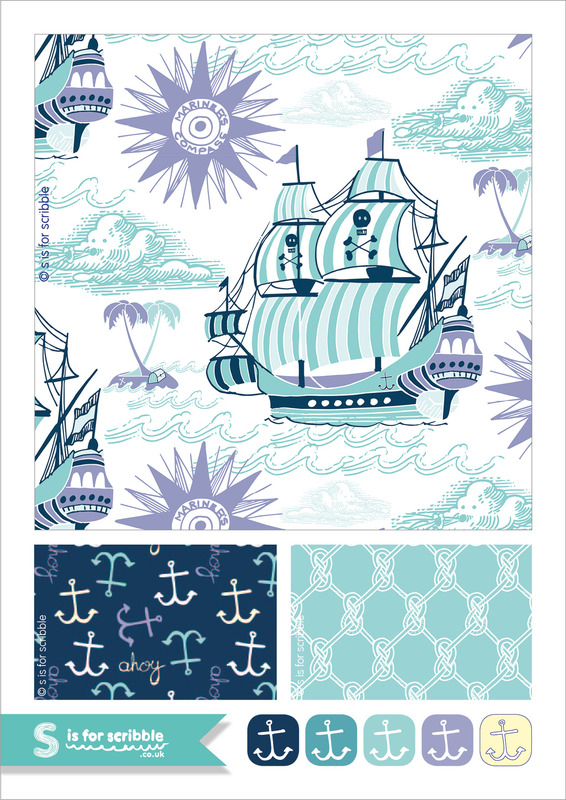 If you would like to license any of these designs please e-mail jenny@jennywilkinson.com. 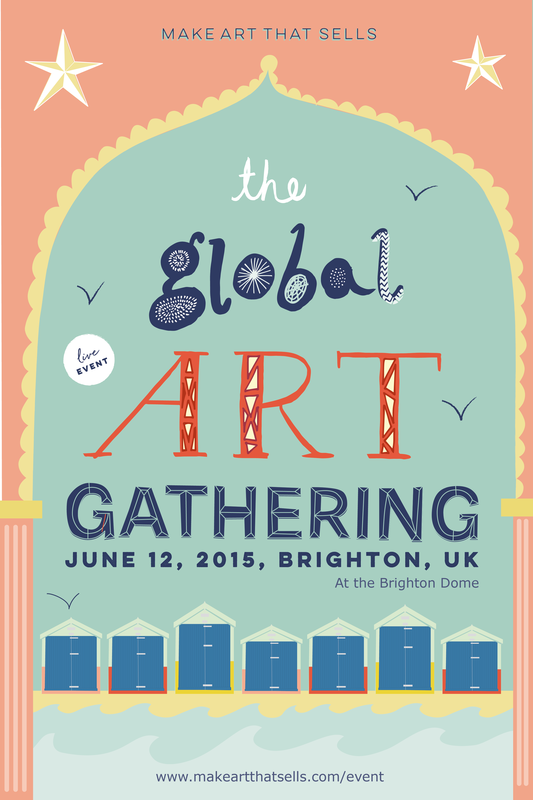 For MATS April Bootcamp Assignment we were given the job of creating a poster for the upcoming Global Art Gathering event in Brighton. 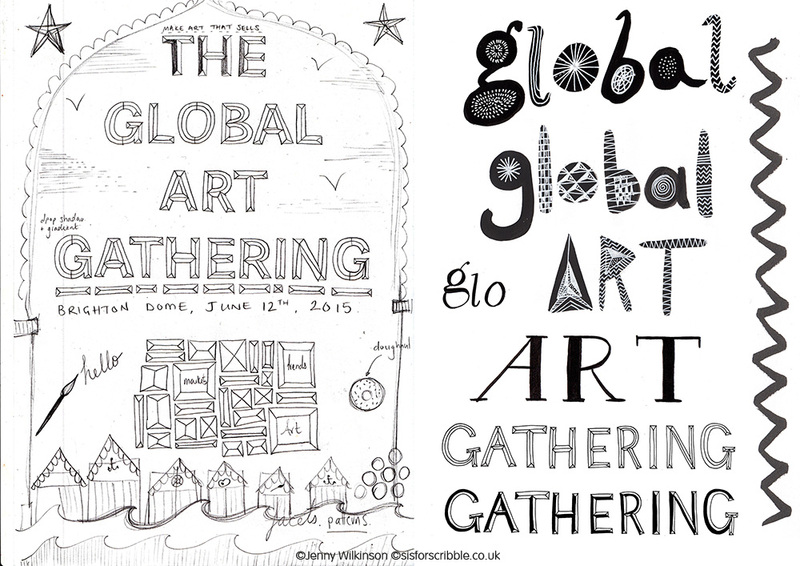 The mini had been to hand letter the words Global Art Gathering. After creating the lettering by hand using pencil, pen & ink. I then scanned the drawings and took them into illustrator. Using the sketch as an idea for a composition, I created the poster design in illustrator using the colour palette that had been given to us. 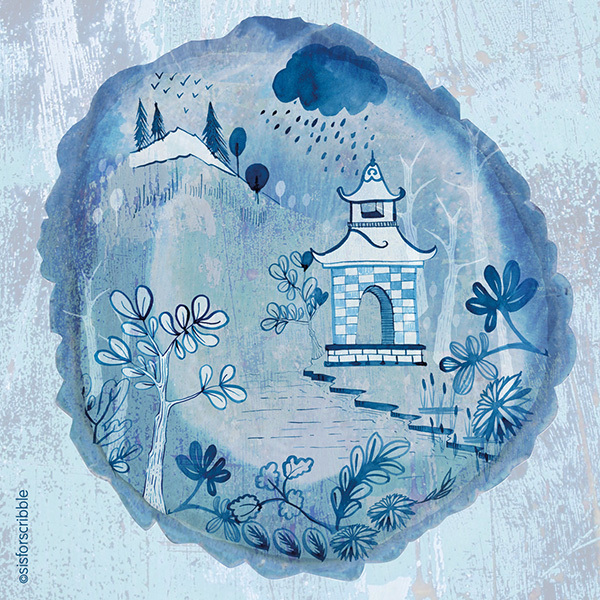 I then added texture to the vector artwork in Photoshop using clipping masks and hand made brushes & textures. I really liked this technique and am looking forward to exploring this technique further. I’m secretly quite pleased with myself, I’ve been doodling and scribbling some new designs for an s is for scribble logo for the new print shop (hopefully opening at Easter). Whilst playing around with a new scribble-y logo I had the idea of creating this animated GIF. I’m looking forward to playing around with this animation technique on some more projects soon. 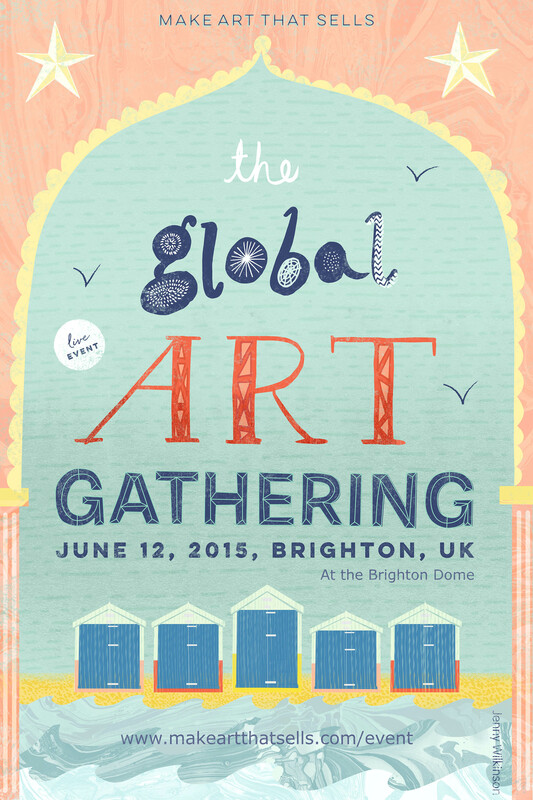 The final design was to create a piece of art painted onto a piece of circular wood. Unfortunately I didn’t have enough time to find a piece of wood but used a photo I had instead and composited this with my original mini drawings. I really liked the translucent quality and used this when layering up the final piece along with some paint textures. To create this quite mystical, magical moody mountain piece. 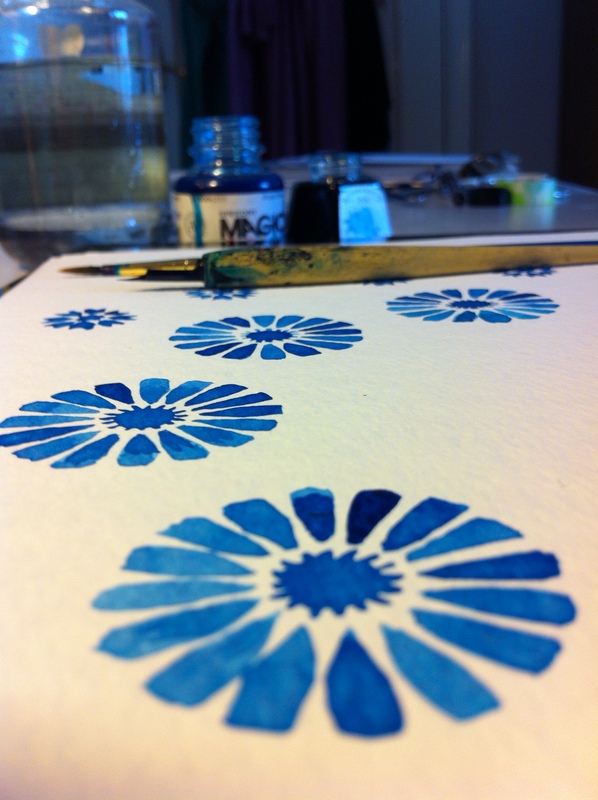 2015 kicked off with another round of creative bootcamp in the form of Lilla Rogers MATS bootcamp course. 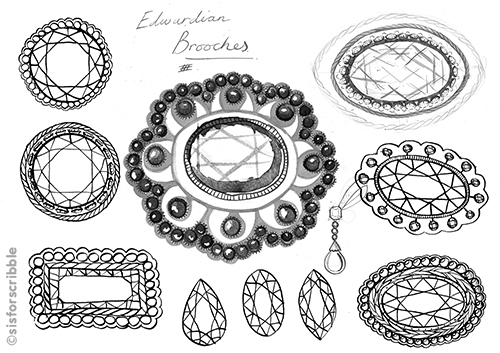 This first month we were tasked with creating a journal design inspired by Edwardian brooches. The brooches I was most drawn to were simple designs with beautiful faceted gems in greens and purple. 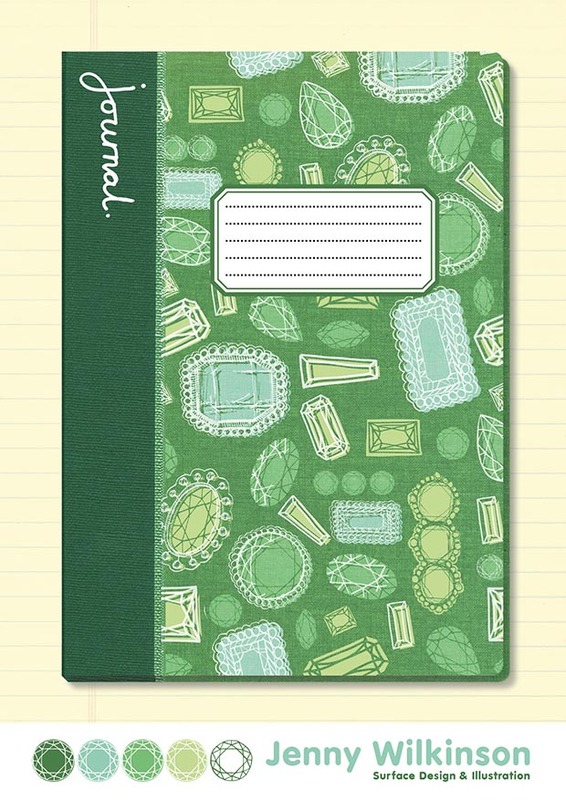 Here is the final journal design I created. 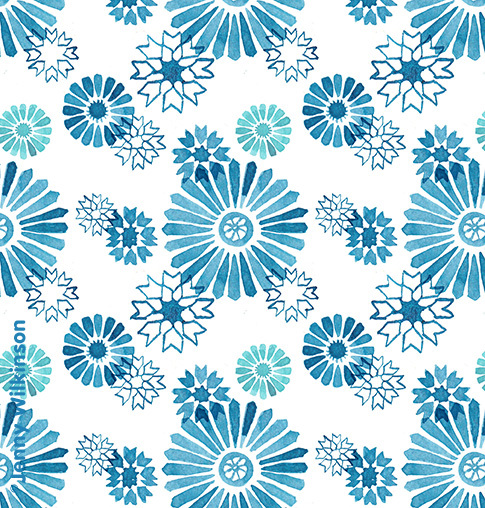 Using the simple brooch designs to create a repeating pattern as a cover design. With the addition of a hand written journal font to the left. After creating the journal piece above, I was really inspired by the simplicity of the small colour swatches and the same facet design. 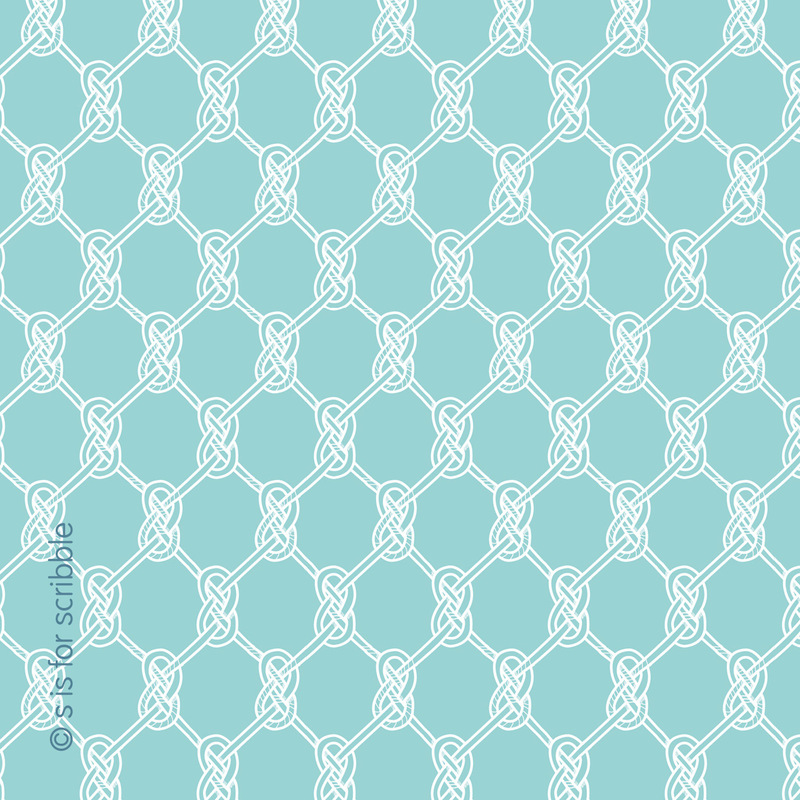 So decided to play around with this to create a simple faceted polka dot design. I have also been having a little play with an S is for scribble logo (see above) hopefully more of this to come in another post soon. 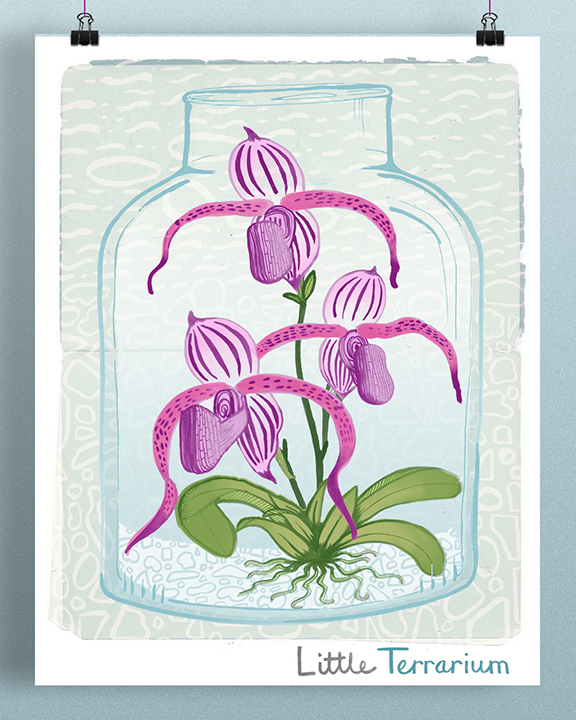 My Little Terrarium – created for Lilla Rogers Global Talent Search competition. Fingers Crossed!